Another fabulous discovery from the Favorite Things gift exchange I went to last December was vanilla bean paste. It’s so cool! And just why is it so cool? You get the flavor and pretty speckliness (new word alert!) of vanilla beans without the work. It’s less expensive than vanilla beans, too. 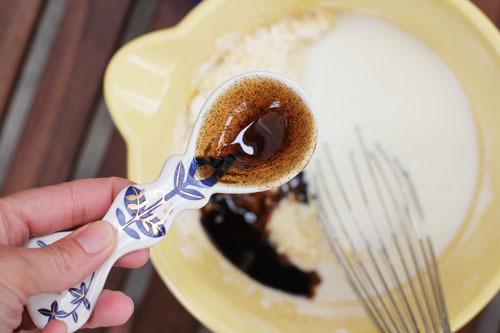 Vanilla bean paste is more viscous rather than paste-like, so it’s easy to pour and measure. It also is good for use in sauces and batter where you don’t want the vanilla extract to make things more liquidy (new word alert!). You can substitute vanilla bean paste in recipes for both vanilla extract and vanilla beans. This stuff is super versatile! If you want to substitute vanilla bean paste for vanilla extract, just measure the same amount that the recipe calls for. Easy peasy! If you want to substitute vanilla bean paste for vanilla beans, use 1 tablespoon of paste for each whole vanilla bean called for. You can purchase vanilla bean paste at Williams-Sonoma, but you can also find it on Amazon where it’s cheaper. 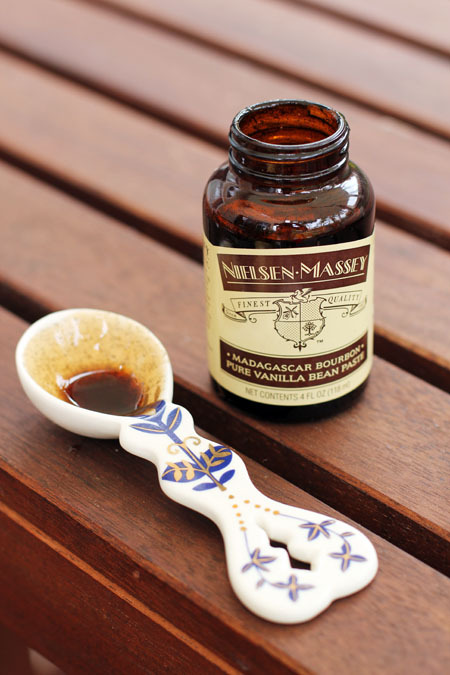 I use Nielsen-Massey’s vanilla bean paste. Apparently Trader Joe’s once carried it, but it has been discontinued so don’t bother looking for it there if you hear rumors! I finally bought a bottle myself and used it for the first time today. I decided to make my friend Kristen’s Vanilla Vanilla Muffins. 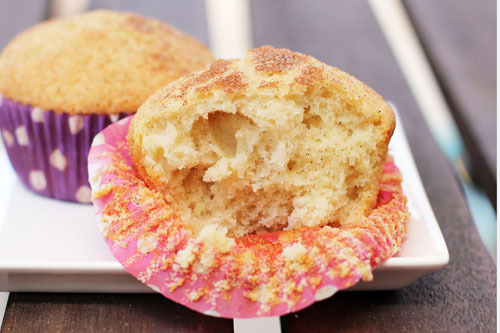 The muffins are simple, vanilla goodness. I don’t have one thing to say or change about the recipe, so be sure to click through to Kristen’s beautiful site to make them yourself! I can’t wait to use my new vanilla bean paste in more recipes! Oh the possibilities! In fact, I created a collection of 21 very vanilla recipes over on Babble that would be perfect for using vanilla bean paste in. Be sure to check them out! Also, please feel free to share your favorite recipes featuring vanilla! UPDATE 3/16/16: You can buy this vanilla paste in a large bottle on Amazon for significantly less than anywhere else. It’s awesome! Stock up! I just bought some on amazon. I haven’t even gotten it yet, but I am so excited. Love vanilla bean paste. Speckliness is a perfect word for it. +1 to love of vanilla bean paste, I do wish Trader Joe’s still carried it because it was about 1/3 the price of other stores, I check every time I get to one (TJ’s are 90 miles from me) hoping they’ll bring it back someday. i’ve never used vanilla bean paste but now i want to try it! good vanilla is just so yummy! Haha! Anything that has vanilla in the title TWICE is totally my kind of recipe. These muffins look so delicious!